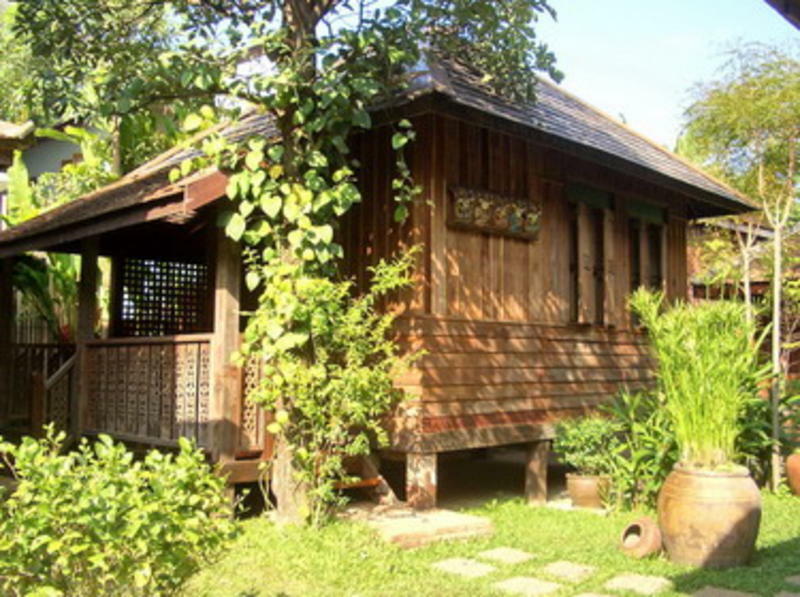 Tanita House is a unique set of charming little houses made of old teak wood, along Chiang Mai's River Ping: a private place where you can relax in traditional wooden Northern Thai style. Our place is where you'll find the genuine ambience of the Thai home, vivid but peaceful. The antique shop and guest buildings around the garden of Tanita House are old, beautiful, and protected under Thailand's conservation laws. Every house has air-conditioning, double bed(s), modern private bathroom(s), heated shower, and a terrace area. You will find it an oasis in the midst of the city where the song of birds and frogs can still be heard. Tanita House is located on Charoenrat Road near Wat Kate Temple, on the east side of the Ping River, directly opposite Warorot ('Gadluang') Market. From Chiang Mai Airport: Please go to the Airport Taxi Counter and ask for a cab to 'Tanita House' on Charoenrat Road near Wat Kate or Sop Moei Art Shop. The cost is 150 baht, and the ride usually takes 15-20 minutes. From the Train Station: Take a red taxi (called a 'songtaew', a converted pick-up truck with two rows of seats in the back).The cost is usually no more than 50 baht for 1-2 persons; if you take a tuktuk the cost is 50-80 baht. The ride should take only 10 minutes. From Arcade Bus Terminal: Take a songtaew, the cost is approximately 50 baht for 1-2 persons. If you take a tuktuk the cost is 50-80 baht. The ride should be no more than 10 minutes.